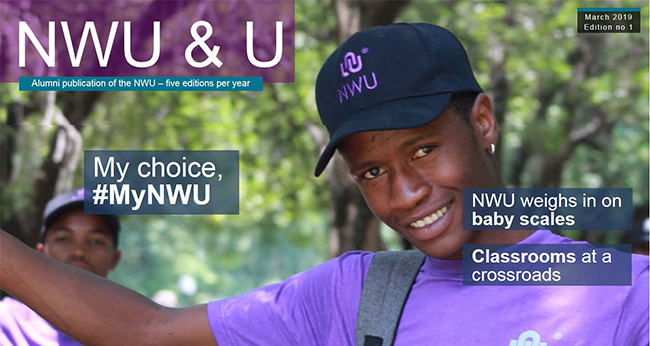 Welcome to our alumni magazine, the NWU&U. This is the 'key' to unlock the NWU world where innovation and academic excellence go hand in hand. In this magazine, you can also read about your alma mater's engagement in the surrounding communities and the inspiring achievements of your fellow alumni.